Our resources can’t support a full Super Bowl preview this year. Instead I give you, by way of sports trivia maestro and fellow Pizza Cave Podcast guest Eastside Paulie, my favorite piece of Super Bowl trivia, which I learned from my dad on a trip to Houston. Get your vote in before six o’clock today, and enjoy the game on Sunday. There is a myth that exists in college football that some really good teams are great offenses with bad defenses. These teams win games by scores like 62-51 or 45-38, and, so the theory goes, they are just good enough on offense to outscore any opponent. In reality, all great teams are fairly complete, meaning that they are good in all phases of the game. You can’t really be a great team if you have a bad defense. What apparently fools everybody is the fact that football is a game with no set pacing. A baseball game is nine innings, or twenty-seven outs if you prefer. Golf is eighteen holes. A set in tennis is six games. Games like football and basketball are different. A football game can range, at the extremes, from something like seven possessions (this year, Navy v. Notre Dame) to as many as seventeen or eighteen. The typical range is more like 9-10 for a low-possession game, and perhaps fifteen for a high-possession game. But, as with basketball, certain teams tend to play high-possession games, and certain teams tend to play low-possession games. Teams that play high-possession games generally feature hurry-up offenses, or pass-happy offenses, or defenses that prefer to gamble for stops rather than playing “bend but don’t break”. Teams that play-low possession games will be teams that run the ball a lot, or play conservative defense that seeks to avoid giving up big plays at the expense of allowing lots of first downs. As should be somewhat obvious, teams that play high-possession games tend to score more points, and they allow more points, all else being equal. For some reason, we collectively seem to appreciate this in basketball, and we don’t necessarily consider low scoring teams to be “bad” on offense. We look to efficiency rankings instead. Football analysis is catching up, but nobody seems to be taking notice. The stats I will be quoting are from Football Outsiders (very good site if you’ve never seen it). This site ranks offenses and defenses as units, based on some advanced per-possession stats that attempt to adjust for quality of opponent. This is obviously an imperfect process, but in my opinion it provides much better information than simply saying that, because a team averages 35.6 points per game, they are “good” on offense. Oregon has long had a reputation as a high-flying offense and a poor defense. I think it is time to challenge that assumption. Offensively, they’ve been good, no question. Since 2007, their offensive ranks have been 7th, 13th, 11th, 11th, 5th, 2nd, 6th, 1st, 13th, and 18th. This year, their 18th rank is their worst on offense in a decade. That’s pretty good. But what about defense? Since 2007, they have been 19th, 42nd, 22nd, 5th, 9th, 4th, 29th, 28th, 84th, and 126th. Raise your hand if you are surprised, particularly about the stretch for 2010 to 2012 (5th, 9th, and 4th). The 2010 national title game was billed as two great offenses against two bad defenses (Auburn and Oregon), yet somehow, those two defenses held the great offenses to some of their lowest point totals all season (22 to 19). Turns out, when analyzed properly, both were great defenses as well (that just so happened to be playing with extreme, hurry up offenses, so they played many high scoring games). I still consider the absence of a playoff in 2012 to be a travesty. 2012 Oregon vs. 2012 Alabama would have been a great game, and we needed to see it. If only somebody could have beaten Notre Dame during the regular season… Oh well. 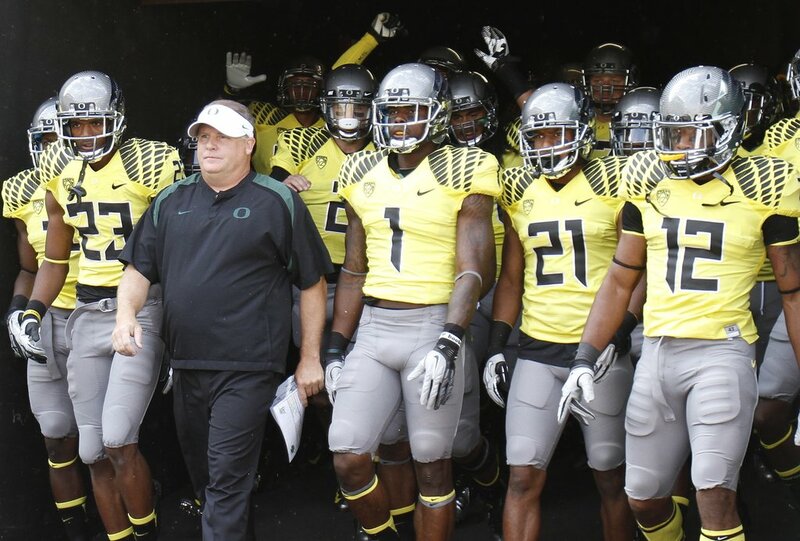 In any event, Oregon’s national-title-contender status from 2010 to 2014 was based upon great offense AND great defense. Last year they still managed to be 9-4, a pretty good year, with the 84th defense. But this year, with a truly terrible defense, they are 4-8, despite still having a great offense. And that is normal. Many teams follow that formula. For example, 2013 Indiana (8th offense, 105th defense, 5-7 record), 2012 Baylor (5th offense, 94th defense 8-5 record), 2010 Michigan (8th offense, 107th defense, 7-6), 2009 Stanford (4th offense, 104th defense, 8-5 record). Another prominent team that had this reputation was West Virginia under Rich Rodriguez. As a 2007 national title contender that lost in an upset to Pitt to drop out of the title game, then routed Oklahoma in the Fiesta Bowl, they were 3rd on offense and 9th on defense. Not quite what most people thought. The bottom line is that you won’t be a great team without being at least good on defense. There may be an exception or two (I haven’t researched every team from all time), but the general rule is pretty clear: if you are an elite offense and a below-average defense, you will be .500 or maybe a little better. 8-5 or 9-4 is about the best you can possibly do, and most do worse. Anybody winning 11 or 12 games has a good defense. Don’t be confused if a team like that sometimes gives up a lot of points. Maybe they are playing against a great offense, and/or defending more possessions than most other teams. If they are 12-2, its virtually guaranteed they’ve got a strong defense. Don’t believe the myth. The organizing principle of a competition arranged in the fashion of the NCAA men’s basketball tournament is that better teams should have easier paths for advancement, the goal being for the best teams to meet as late as possible. Tournament organizers therefore employ a seeding system that awards teams believed to be the strongest with the best seeds (i.e., the lowest numbers) and first pits them against teams believed to be the weakest.This is sensible, logical, and good. Anything can happen once the games begin, of course, but if Michigan State and Kansas, for example, are the best teams in this year’s tournament, the tournament should be designed such that those two teams are most likely to face off in the final, championship round. Generally speaking, this is how the NCAA tournament is organized. From 1985 until 2000, the tournament’s field held steady at sixty-four total teams. In 2001, it expanded to sixty-five teams, adding a single play-in game to determine which team would be the sixteenth seed to face the number one overall seed. In 2011, the tournament field expanded to sixty-eight teams, its current size, with four play-in games. Many people dislike the fact that the tournament has expanded beyond a seemingly optimal sixty-four-team field, but all should agree that, however many teams and play-in games are included, the tournament should be organized such that the projected difficulty of each team’s path through the tournament is inversely proportional to its seed position. As currently constructed, however, the tournament deviates from this basic principle. All play-in games are not created equal. Two of the four fill sixteenth-seeded positions, while the other two fill eleventh-seeded positions, and the latter grouping is the culprit here. The NCAA and its broadcast partners no longer refer to the play-in games as the “first round,” thankfully, but, however labeled, these games constitute a significant structural hurdle for their participants. It’s difficult enough to win five consecutive games against the nation’s top competition; adding a sixth game places the play-in teams at a major disadvantage. If a tournament organized in this fashion is to proceed with sixty-eight participants, play-in games are a necessity. The heavy burden of participating in an extra round of competition should be apportioned in accordance with the tournament’s organizing principle, however. In this instance, that should mean applying it to the lowest-seeded (i.e., highest number) teams. Using two of the play-in games to determine eleventh-seeded positions inappropriately and adversely distorts the degree of difficulty for those two positions. This year, the unduly burdened teams are Vanderbilt, Wichita State, Michigan, and Tulsa, which are competing in play-in games for eleventh-seeded spots in the tournament’s first full round. Each of these teams would be better off as a twelfth, thirteenth, or even fourteenth seed (to say nothing of an eleventh seed in the West or Midwest regions, where eleven seeds are not similarly encumbered) than they are as participants in eleventh-seed play-in games. Two of the eleventh-seed play-in participants, Vanderbilt and Michigan, likely were two of the last teams to earn at-large bids to this year’s tournament. Even if that’s true, though, it shouldn’t matter. The in/out decision is binary: a team is either in the tournament or it isn’t. Once the field is determined, the committee then should seed the teams based on their basketball merit. If the committee thinks so little of Vanderbilt, Wichita State, Michigan, and Tulsa that it wants to put them through the paces of a play-in game, it should have seeded them lower than eleventh. The current arrangement of the NCAA tournament play-in games constitutes a structural flaw not because those preliminary games exist, but because of the seed positions they involve. If the NCAA insists on using the play-in-game arrangement to include sixty-eight teams in the tournament, it should use those play-in games in a manner that aligns with the tournament’s overall organizing principle of strength-based seeding. In practice, no tournament of this sort will be perfectly balanced in its initial arrangement, but the current structure clearly is contrary to that fundamental organizational principle and unnecessarily distorts the balance of the entire tournament. If he could do it again, Chris Webber would have gone to Michigan State? Everyone knows that football, even college football, is all about the money. The SEC finally figured it out with their own TV network. Heck, even the Northwestern football players themselves figured it out. What makes any sport America’s sport? Football often requires the word “American” in front of it to differentiate it from the football that the rest of the world knows. What about an option for enterprise? In major league sports, players, coaches, and the media all make buckets of money, but not the players in college football. Until recently. Let’s take a step back. Imagine needing a source of cash flow and having some experience with the collegiate football process, but not enough skills (or motivation) to necessarily get hired anywhere as a coach or athletic director. Where is there an open source of money to be made? Well, there are those games where one team plays another of a vastly inferior caliber and division and pays that team for the right to lay the smack down. The lower tier conferences and divisions don’t rake in the cash like the top tier leagues do, so they are happy to take a loss for the money before going back to playing teams their own size (North Dakota State aside). Who is to stop me from making my own football “team” made up of eleven dropouts and getting paid to get smashed to bits every single week? Everyone else is raking in the dough in this industry, why not me? What sentiment could be more American than that? Of course, no legitimate team would schedule such a disreputable opponent, and there must be rules against that sort of thing, right? The shift from Nike to Adidas was also a huge change. For fans, seeing a different symbol on a jersey isn’t anything special, but for athletes it’s a big adjustment. Sizes, fit, comfort, color and durability are all crucial to being able to play your sport well. With Nike, every team had figured out what they liked and disliked, and they could make small adjustments in their gear from year to year. But Adidas specializes in soccer and football gear, so things like volleyball shoes and jerseys presented new challenges. Nike also copyrighted the color “Maize,” so Adidas actually had to make a new version of our school color, now known as “Sun” (which the volleyball team has affectionately dubbed the “highlighter” jerseys). Terrible. I don’t love what the Spartans have done aesthetically over the last decade– it’s the overall fluctuations in approach, more than any one decision, that has become somewhat annoying– but Michigan State hasn’t done anything to make my eyeballs burn out of my face, and that recent rosy addition has been downright pleasing. Old news, but new to me, and now you know it too. ALDLAND will have a presence on the ground at this weekend’s Ohio State- Michigan game in Ann Arbor. According to widespread commercials promoting this game, the annual meeting between these two rivals is known as “The Game.” I have attended this game many times over the past twenty or so years, and I’ve never heard it called that. Unless Brendan, between gulps of Four Loko, corrects me on Saturday morning, I’m going to chalk this labeling up as a media marketing concoction. Outside of pride, this game does not have a lot of meaning for either team. Ohio State is undefeated but has only an outside shot at the BCS championship game, and has already secured a spot in the Big Ten championship game against Michigan State. Michigan is bowl-eligible at 7-4, but they have a losing conference record and will be home dogs on Saturday. 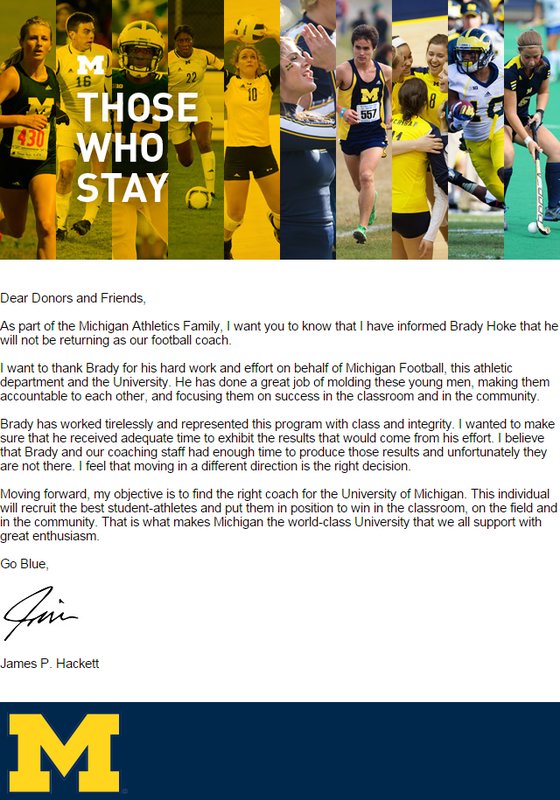 Still, the feel in Ann Arbor under Hoke is decidedly different than it was under the coach Hoke replaced, Rich Rodriguez. Should it be, though? Is there a chance Michigan fans are missing Rich Rod? Ohio State is about a two-touchdown favorite on the road this weekend, and although that feels about right as I write this on Tuesday morning, my prediction is that they will not cover on Saturday. Unless Michigan has beefed up their mobile reception capabilities, expect in-game coverage from Brendan and I to be somewhat limited, but you can always track us @ALDLANDia. After an extended break the ALDLAND podcast is back and better than ever. College basketball is finally on the menu, as is discussion of a big trade in the MLB. And as always, listen for ALDLAND’s college football picks of the week.